Living By Lysa: How's YOUR Day?! Because we live out of the city, there are no gas lines to the houses out here. Thus, we all have propane tanks in the ground that have to be filled in order to heat our houses. 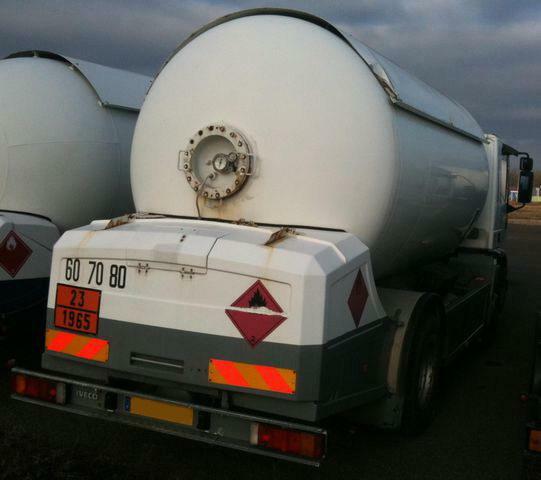 As I said yesterday, our tank is empty so we called the gas man to ask if he could bring some to us. He said sure, he'd come on Thursday morning. But the morning came and went, and no delivery. Dave is still up at the Advance conference, but I was able to get a hold of him and let him know that we didn't have gas yet. He said he'd call the man and find out where he was. A few hours later, Dave called with not so good news...not necessarily for us, but for the gas man! He was at the intersection waiting to make the turn up to our house this morning, went a SEMI hit him from behind!! Thankfully no one was injured...but his pump was smashed and rendered inoperable. We were the first of 17 deliveries that he had scheduled today. He told Dave, some people are threatening to sue him for this...and it wasn't his fault! Unfortunately, the parts that are needed to do the repair won't be in to the service garage until Monday. The soonest he can start making deliveries again is Tuesday. He actually called the other two gas delivery companies in the area to see if they could help him, but they aren't free until at least a week from now, and later! We're definitely getting by with our fireplace and extra blankets on the bed. However, we have a friend living in our guest apartment over the garage right now and there is no heat over there without the gas. So this evening the man is bringing a portable gas heater to loan to us until he can make the delivery. That's pretty good service! I don't know what kind of day you're having, but hearing our gas man's woes, mine are VERY small in comparison!